On 23 August 2018 CSSF published Circular 18/698, a long-waited Circular on the organizational requirements of management companies and AIFMs by the fund industry in Luxembourg. For sure it’s not a coincidence that six days later the CSSF 2017 annual report also underlined a number of deficiencies at management company level. Among those, CSSF highlighted the way management companies execute due diligence on their delegated activities (initial and continuous). Executive Boards and Board of Directors are challenged by the CSSF for a lack of comprehensive information needed to properly monitor the activities of the management company. CSSF also noted a lack of due diligence on business relationships such as initiators, distributors and delegated activities by business providers. These complaints have all been addressed in the new Circular. 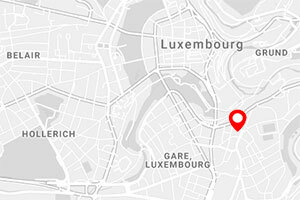 In particular, new rules will require that “management information” be reviewed and discussed by the executive committee meeting held at least once a month in Luxembourg. Although this requirement was originally recorded on the repealed Circular 12/546 it has now been more extensively described and provides the minimum content requirements on the points which have been raised above.The need to maintain such management information will require a regular review of connections established by the management in order to guarantee a timely flow of information. We consider that without an extensive digitalization of this process, compliance with the new requirement will be quite a challenge. This is further reinforced by the CSSF announcement of a substantial increase in resources dedicated to on-site inspection over the next months. InReg will be delighted to assist you on this process based on its experience of the regulatory environment and product development.